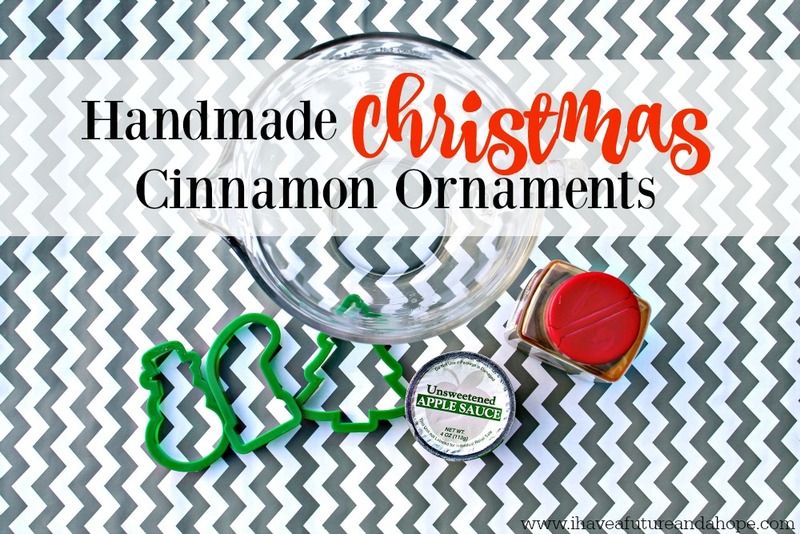 One of my family’s favorite crafts to decorate for Christmas is to make these fun and kid friendly Handmade Christmas Tree Cinnamon Ornaments. The supplies are some that you probably already have on hand. 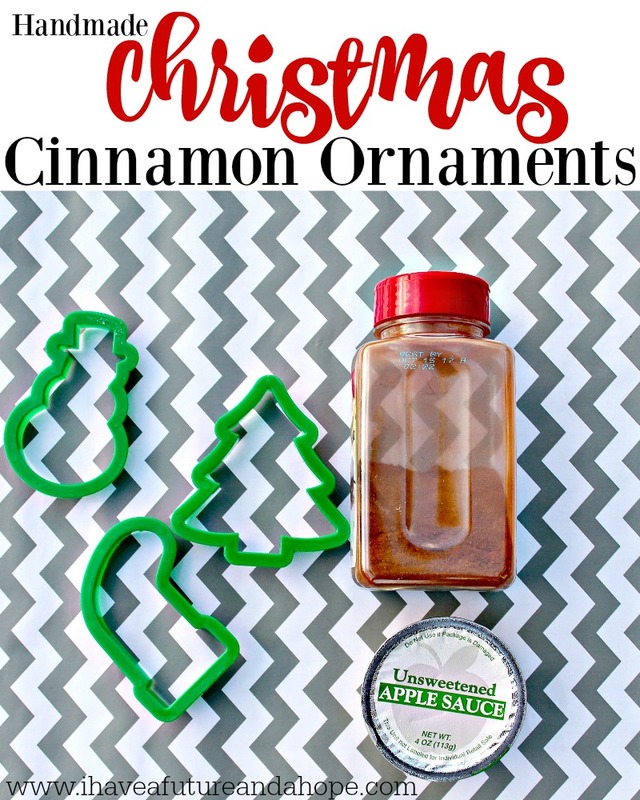 My 6-year-old and 12-year-old especially like to make these, and theses ornaments will make your house smell just like Christmas. All of that cinnamon is divine! My 6-year-old and 12-year-old especially like to make these. 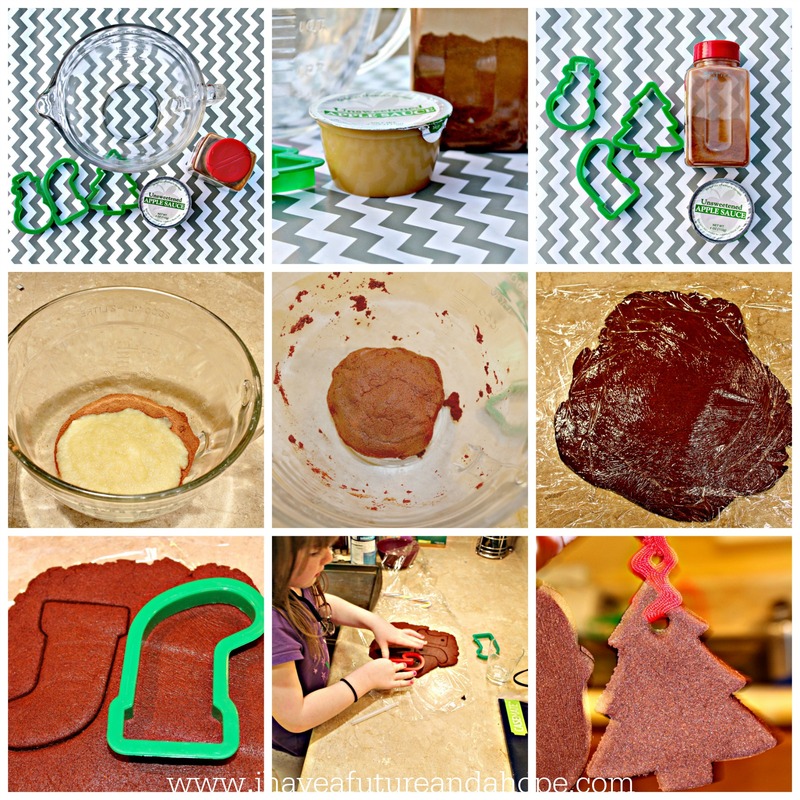 So gather up all of favorite Christmas cookie cutters and get ready to make ornaments! Mix Cinnamon and Applesauce until you form a ball of dough, knead until mixed thoroughly. Roll dough out with a rolling-pin until it is about 1/3 of an inch thick. You may want to use wax paper or plastic wrap and roll the dough out between these to keep it smooth and from sticking. Poke a hole through the top of the ornaments with the straw so you can tie the ribbon or twine onto the ornament for hanging. Place on a cookie sheet and bake for 2 1/2 hours. Tie ribbon or twine in a loop through the ornament. I hope you enjoy making these as a family together! If you liked this post and want to read about more Christmas posts check out the iHomeschool Network 5 Days of Christmas Hopscotch. This is a fun and easy way to find posts related to a common topic in one place. I hope you enjoy this hopscotch as much as I do. I will be sharing about 5 Days of Christmas Family Traditions that my family shares in each year. Some of these posts may pertain to my local area, but you more than likely will have some of these same activities in your community.